September is National Chicken Month. 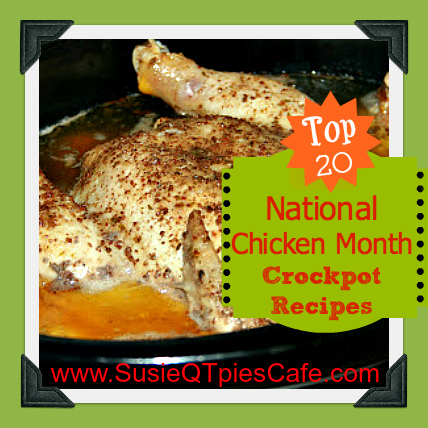 Here are 19 Chicken Crockpot meals to make for your family throughout the month. 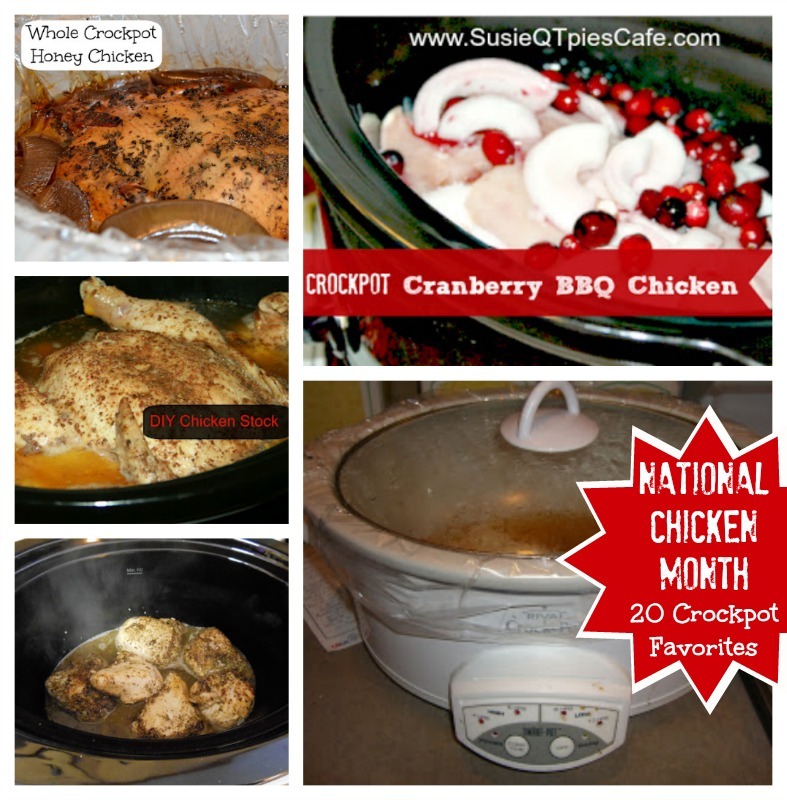 We love cooking chicken in the crockpot and have yet to find a family favorite recipe that couldn't be adapted to crockpot cooking. How about you? Here is our Menu Plan Monday. I hope that you find it helpful. Feel free to go through the recipe box for other options. IF you have recipes on your blog, menu plans or anything food related, pleas share below! I'm thrilled that fall is just about here because our family routine becomes so consistent and predictable which makes dinner time menu planning easier! Monday-Labor Day Food! Burgers, Salads and Dips! JOIN our September Challenge and last chance to enter the Everyday Simple Suppers Cookbook Giveaway. I've linked up at OrgJunkie's Menu Plan Monday link up. I will pin some of the below post on Pinterest as I have time this week!! Remember each week I try and share a recipe & menu plan each week which was linked up. If you do pin my post, please leave a comment and I will be sure to get yours pinned. Thanks! Have a super week. I hope you had a wonderful Labor Day weekend. What a great round up! There are a lot of great recipes. Thanks for including mine.